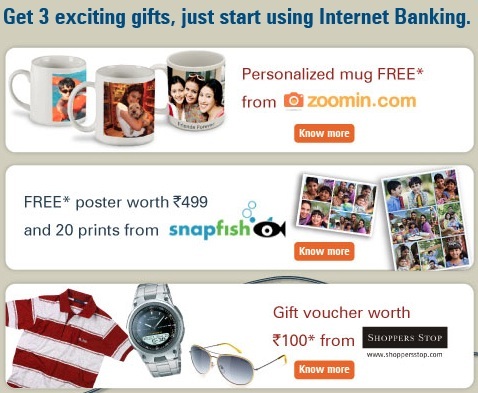 ICICI bank is giving not one, not two, but three great exciting gifts just for trying ICICI Bank's secure Internet Banking service! Simply login using your User ID and Password, and receive promo code for following three gifts in your secure Internet Banking Mailbox. ICICI is running lots of similar promotional offer for Debit Card/Internet Banking and Credit card holder, if you are having account with ICICI bank then check out some of below offers and enjoy deep discounts.